After a lot of luckless searching for these beetles, someone who found one in their yard contacted me and I went to pick it up. 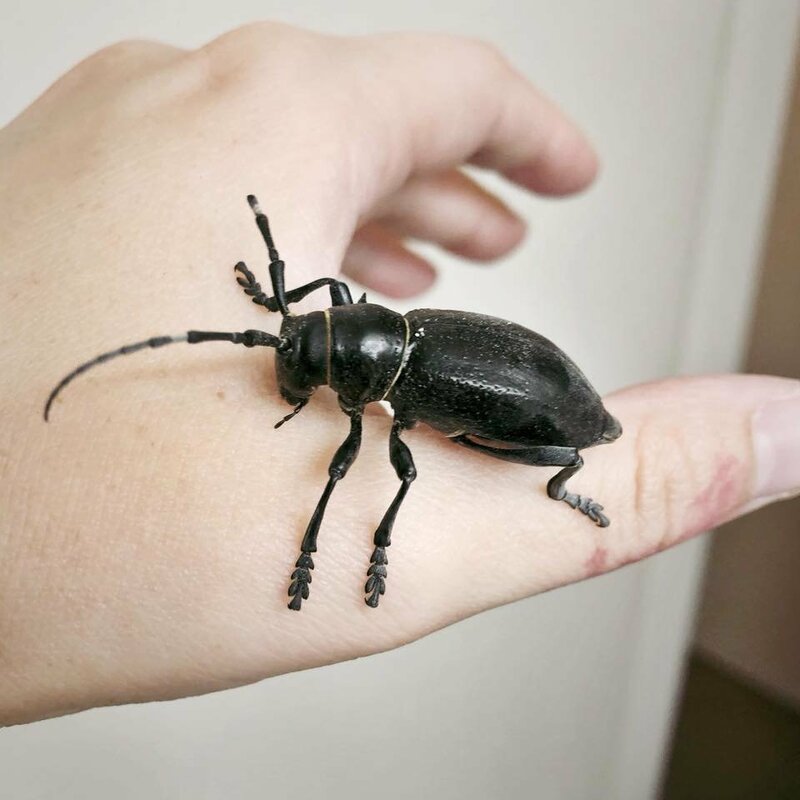 Please meet my first cactus longhorn beetle! It's bigger than I was expecting, and very curious and docile. I was attempting to take some photos of it with my decent camera, but it much preferred to walk all over me instead of sitting pretty on a piece of cholla, so I got a quick snap with my phone instead. Marvelous!!! It is probably one of the greatest mysteries to man (or at least myself) why these have not been established in culture yet! I'll be crossing my fingers that yours is a female and that if so, she gives you many eggs. Im heading to New Mexico soon and plan to capture some there, are you mainly searching at day or at night? I've been looking in the mornings and late afternoons, although the guy I got this one from says he sees them most reliably in the mornings. That's amazing how you got one, I haven't been put out there looking but i do hope to find some before they are all gone. Welp, that’s probably why you haven’t found many. 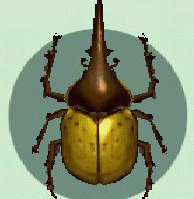 These guys are mostly active, and can be found standing on top of the cactus, at dusk and night. At least in New Mexico, they seem to be quite plentiful if you look at the right time (we’re going there in a week, and I plan to hunt for them heavily as we travel). In Arizona, I have found them pretty much anytime. Day, night, etc. Because each time I went the weather and conditions were slightly different it's hard for me to say for sure whether I felt a certain time was better than the other. I think night is a little better but it's much easier to collect them when it's day light so you end up being more productive, if that makes sense. Walking around with a flash light among lots of cholla cactus is definitely not as easy as the daytime. There is also lots of it on the ground so make sure you are wearing boots. Those nasty thorns will go right through soft covered shoes. Of course, good long tweezers is a must. In their more active times, you will find more mating pairs. During the day, they will often be more toward the center of the cholla or the under branches as opposed to right on top. I don't think they submerge under the soil but stay on the cactus all the time, so it's just a matter of looking a little bit harder when they are less active. Oh, you probably know this but you can feed them prickly pear cactus even though you will often them on Cholla (you will also find them on prickly pear in the same location but I generally find them on Cholla more often). Prickly pear is much easier to handle. If you are out in the field and don't have access to prickly pear, you can feed them the little round flower buds that are at the tips of the cholla (see below picture). You can find some of these flower buds with no thorns on them and they are easy to just pick off with your hand. Great way to gather food for them without spiking yourself to death, haha.